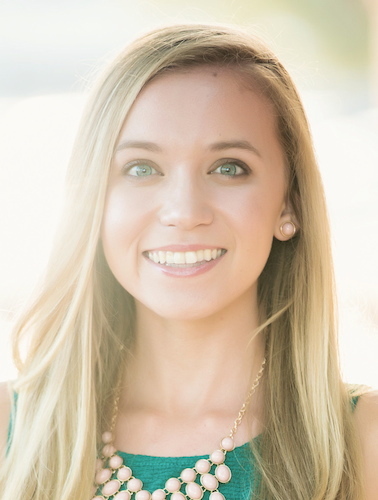 So when I heard about your Clear Skin Bootcamp program, I didn’t really hesitate too much… I knew that I needed a change in my life and I also know that nothing I had tried worked long term. I just jumped in and got it started and haven’t looked back since. I feel much happier, my skin has cleared up and I only get the occasional break out and I haven’t had cystic acne since starting bootcamp four months ago. I finally feel like I am living and it’s such a good feeling. I’m finally brave enough to go out and do things that I wanted to do that I was scared to do because I was self conscious about my acne. I have had so many complements on my skin and my overall health. People who I haven’t seen in months (and sometimes before bootcamp!) are amazed at my transformation. Thanks to Tracy, I have learned to use less on my face and it has helped so much. I’ve also realized thanks to her that it could be be a hormonal problem. I also learned not to be so scared of food and worrying that eating one unhealthy thing will cause me to break out! 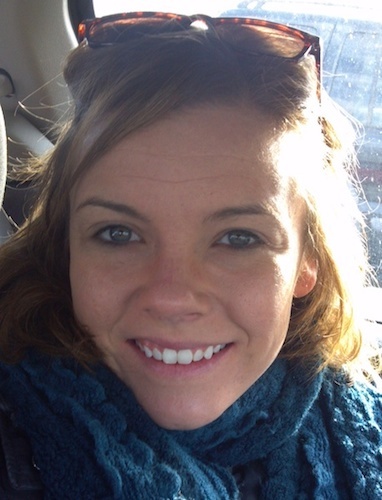 I was pretty unhappy with the way my skin looked before I joined the Naturally Clear Skin Bootcamp. I constantly had awful, cystic acne all over my face that couldn’t be covered with makeup (or makeup just highlighted the spots), and was so embarrassed by it. I felt like everyone was staring at it all the time.I had a few hesitations to join the Bootcamp / Academy because I wondered if I was just going to hear the same info that I’d spent time researching already on my own. But I discovered that there was a lot more I could learn!I’m so happy to not be worrying about the giant red mountains on my chin anymore! There’s still some blotchy redness, but it is definitely on the way to healing now, and I’ll bet it will start looking better and better as time goes on. I would definitely recommend this program! Tracy’s approach to skin care in Naturally Clear Skin just makes sense, more than anything my doctor has told me. And it works! I’m nourishing my body and my skin is healthier for it. I feel confident, beautiful, and like my skin is finally glowing. Before the Bootcamp / Academy, I had low self-esteem and was letting my acne take over my life. I was just desperate to clear my skin but I felt trapped – trying to improve my skin, but nothing seemed to work, or not for long at least and it was frustrating. I had hesitations to join just because there are so many programs/acne-cures out there that don’t work and I had tried a few of them without lasting results, but I can safely say this was the best thing I’ve ever tried and I am finally seeing the results I longed for! I’m feeling much better about myself – going on weekends away, meeting new people and trying new things, which I would have felt too shy and embarrassed to do. Without hesitation I would recommend this program to others! The information provided is so valuable info and opens your eyes; it’s engaging and to the point; it encourages self-love, which is really important as well. Also, it’s a lovely group of people all over the world who you can relate to and who get it, which encourages you along the journey! This program has 100% helped me and my skin! Wow, I have come such a long way with the help of Tracy! 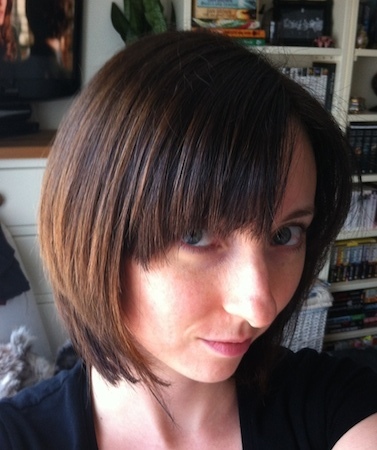 Her blog, and ebooks (The Caveman Regimen one in particular) has been such a huge help to me. About a year ago my skin had a HUGE freak out. I had acne all over the side’s of my chin, and along my cheeks. It really was horrible. I’m so much happier now! My skin is healing, and it just glows now. I look so much better.. but the real benefit is that I FEEL better. I feel healthy, which is something I didn’t even know I was missing before. My mind is such a happier place now – its really strange! I just wanted to thank you!!!! Ive been searching for natural remedies to clear my hormonal acne. Nothing has worked, I was even on antibiotics from the doctor which helped but as soon as I stopped the acne came right back. I’ve never had a problem with acne until about a year ago, I’ve tried proactiv and all types of face washes and cleanses even, detox diets. I started implementing your advice on hormonal acne and I have seen a huge difference in just 2 weeks, my skin is nearly flawless and I haven’t had any new breakouts, where as before I felt like I would get a new breakout every other day! Thank you soooooooooooooooooooooooo much for your advice. You have saved my skin and self esteem. 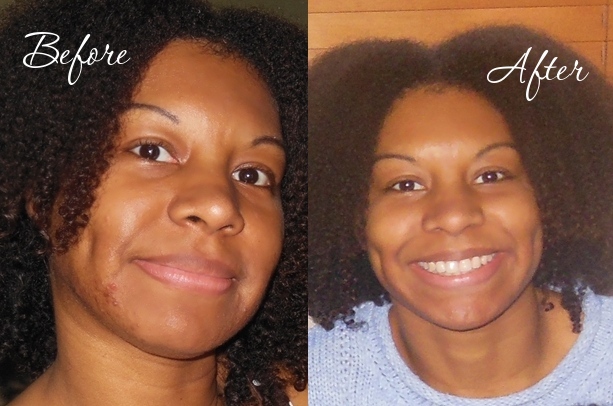 Before the Naturally Clear Skin Bootcamp & Academy, I felt lost as I had grown up with acne. I obsessed with food and looking in the mirror. My mood was dictated by how bad my skin was. It wasn’t good. I had some hesitations to sign up because I’ve trawled the Internet for many years trying all sorts of “miracle” creams, lotions, potions and supplements. Anything which promised what I wanted. Of course none of them worked. Apart from the fantastic layout of all the components of the boot camp, my best bit about it was posting on the boot camp forum as Tracy answered you, so you weren’t just left to it to go it alone. Everyone on the boot camp forum are lovely and “real”. And we’re all there with the same goal and really “get it” and we all support each other which, let’s face it if you’ve never been there you won’t truly understand! I would definitely recommend the Bootcamp / Academy to others in the same situation because there is an answer to all this crap! Doctors’ drugs are not the answer. This is a life changing experience which will help you in many areas of your health. Don’t hesitate – just do it. I was a little hesitant and overwhelmed before starting the Bootcamp. I was feeling very low when first starting the program. I was anxious and didn’t have much self love when it came to my appearance. But I just took the risk and went for it! And I have not had regrets!! I definitely feel I have taken care of a lot of the anxiety that I have about my skin and also other areas of my life. I feel a lot better about myself for sure. Just knowing that I’m not the only one that has acne and struggles with anxiety has helped me the most. I learned to let my body do its thing and not “meddle” so much, which led me to a much happier and more relaxed routine. I learned to be nicer to myself and therefore really liking myself a lot more. The result? 100% clear skin (better than ever) with zero effort. I stopped doing anything, I don’t even wear makeup anymore. I also save a lot of money and I have great digestion (can’t remember the last time I had a smelly fart!). Thanks! I would absolutely recommend this program to people! I think the cost is reasonable, and I feel like even if you don’t have time to do the full bootcamp, the resources are great to have and the forums are a great source of information and wonderful people! 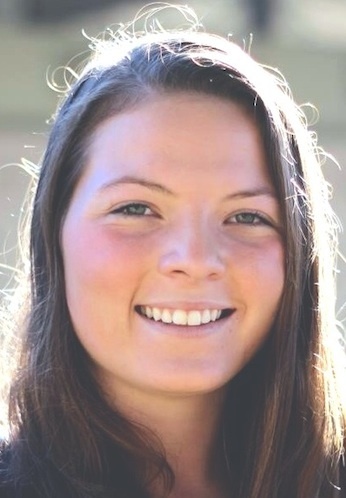 I was struggling with cystic adult acne before discovering The Love Vitamin, but with your help, I’ve changed my diet dramatically from the typical SAD diet to a much healthier way of eating. I now only get occasional breakouts or blackheads!! 100x better than it used to be!! I was slightly scared of switching to using oils on my skin but boy am I glad I did. I was also a bit concerned about whether I could make some of the lifestyle changes with my hectic scheduled but I have managed it all ok, it wasn’t that hard. The results? I don’t have any pimples. I am still getting a few on my jawline just before my period, but this is nothing like what it used to be and it clears up pretty quickly. My beauty routine is simpler. I don’t have to worry about buying expensive product or if I’ll run out. My skin feels soothed, not irritated and my scars are beginning to fade too. He’s now my boyfriend and the sweetest guy ever :D…I’ve also been asked out by two other guys without wearing makeup too! For all the money I have spent over the years, this has been the most effective. I feel in more control of my skin now, I don’t have to worry about the fact that if I break out I will have to wait to get into a doctors or dermatologists to fix it. I also think this program is good because it also aims to deal with stress and emotional impacts of acne. That’s really important and something that’s often overlooked by the conventional approach. Having the forum which created a safe space to converse with other people who truly understand and are on the same journey was invaluable. I still don’t feel like my skin is gorgeous, I still notice the flaws, but that’s getting better. I can go to my boyfriends or to work without make up and not have anxiety about how I look. That’s a huge improvement for me. Life changing. I had been feeling like there had to be a better way, a natural way to heal myself, but I didn’t know how to do it until I found The Love Vitamin, a miracle that has changed my life. I have never been happier, and my skin has never been more clear. My skin is more even-toned, if I do get a breakout, it heals quickly, and I feel good about what I put on my face! I no longer need to worry about being separated from my skincare routine, and I will even skip washing my face when I feel like it. Though there are still some struggles, the emotional growth that’s happened since discovering The Love Vitamin has truly impacted my life in a way that I can live freely and make room for what brings me joy. Before the Bootcamp, I was completely fed up! I was at at the end of my tolerance for my acne. My skin was the worst it had been in a long time, after 12 months of recurring cystic acne appearing on my face every morning I honestly didn’t know what I could do to make it go away. I was also in a very unhealthy cycle of picking, over washing and covering up with makeup. Initially yes I had some hesitations – I thought there would be no way that I could make changes to my skin routine because I felt trapped in a cycle and didn’t want to make it worse. I couldn’t have imagined checking my rear view mirror on the way to work and feeling confident about the way I look! 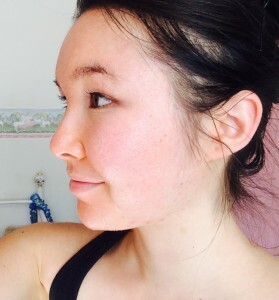 It’s been about 2 months now of the oil cleansing method, honey, eating healthier (and more), fish oil, drinking lots of water and getting more exercise, and I haven’t had a bad breakout at all apart from the initial detox breakout – I only have acne marks and a few whiteheads to worry about now. Before the Bootcamp / Academy, I was miserable with my skin & frustrated. I just wanted so badly to find “it”, aka…. the key to get rid of my acne. I felt there was no end to the amount of money I could spend in pursuit of clear skin. I was a product junkie. I was hesitant at first to join because I wasn’t sure if it would be just another waste of money. I had tried before to change my eating but never saw results in my skin. Right now my skin is very clear. I feel so much better about myself! I feel better in general and I don’t feel the panicked “I just have to figure this out” obsession I used to. I thought it was great. I didn’t do it “perfectly” but Tracy helped me see sometimes the stress & worry over not doing it perfectly are worse than eating a few things you shouldn’t have now & then. What did I think of the cleanse? Two words: It’s amazing!! Years ago I found a candida cleanse that was so confusing and difficult, that I had to greatly modify it or give up. The cleanse you put together, however, is so easy to understand and so simple to follow that at times it did feel like it was too good to be true. I’m nearing the end of week 4, I’ve stayed strictly to your plan and I’m happy (so happy) to report that I have NO active acne at the moment. I know I need to stay on the cleanse a bit longer but, even after four weeks, I don’t feel deprived of food and it’s turned into a lifestyle change. When I do start to incorporate other foods back into my diet, I know I’m going to make better choices because I now know what making good choices does for my body.The greatest thing your cleanse has given me is the knowledge and awareness of how to feed my body well and how amazing I feel and look when I feed it well. Many thanks. But my skin has improved so much! It’s softer and supple. My scars have faded and overall I feel much more confident about myself. I would definitely recommend it to people since I benefited so much from it. It’s a program which is meant to cater to all kinds of people with skin issues. Then I would tell them all about your wonderful program and the holistic approach you take. It might take me a year to implement/try everything and clear my skin completely but I’m on the right path for sure. My mood and energy have also improved which I love, and I’m getting addicted to eating vegetables! Hey! I hope you are doing well. So I eat green smoothies every day, I have started taking probiotics and eating coconut kefir. I wash my face with honey and use aloe and joajoba oil. My skin is clearing up annnnnnd I’m loosing weight! Thank you so much for all the good advise. I need to work more on meditating thats my goal for the summer that and exercise but I just bought a bike and am hoping to get a job picking produce so that shouldn’t be a problem. I had cystic acne outbreaks on the lower half of my face, especially the jawline. Once the outbreak started, it seemed to spread in the general area – if i had 2 today, tomorrow I would have 3. Tracy has given me the tools to fix my own skin. Before Love Vitamin I felt very hopeless and didn’t know where to turn to. She inspired me to want to live a more natural and healthier lifestyle in general and maybe to try not to worry so much about what I look like … as a result, my skin is so much better! Since being on the caveman regimen, my skin is different. Clear. Smooth. Calm. Able to heal itself. My skin now feels more like “my” skin than it has in five years. 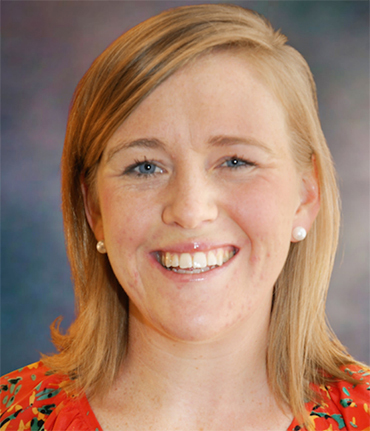 I work as a clinical mental health counselor. I’m so grateful that my skin is no longer on my mind while I’m working with a client. I feel like I’m a better therapist because of it. I found your site a month ago when I was searching yet again for anything that might help with my acne, which seemed to be getting worse lately. Long story short — within 3 weeks my face is 98% clear with the help from your books & programs. I’m 41, have had hormonal acne all my life, but it REALLY kicked into high gear after the birth of my last child 9 yrs ago. I thought I had tried everything possible, Proactiv, Mario Badescu, you name it, and NOTHING ever cured it. Then I decided to go the natural route. I found Tracy’s website about a month ago. Per her suggestions, I have been washing with Manuka honey and taking Vitex, Estroblock, Burdock and Milk Thistle, and this is the BEST my skin has looked in ages. Even my husband commented on how much better it has been looking lately. 🙂 Thank you, Tracey!! Hey Tracy! What’s up sister?! I just want to say God bless you for sharing all of this information to us acne sufferers! I have read,”7 Things You Can Start Doing Right Now to Clear Your Skin” and honestly, it really really truly help me with my skin. 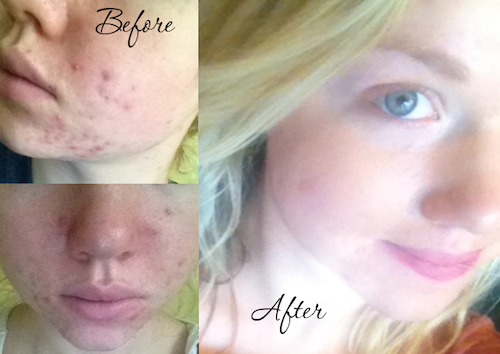 I purchased your clear skin ebook to help me get rid of my cystic acne – I had a ton of it! It was soooo painful and horrible! The information about diet and gut health was very helpful. The most important information I have taken from you, however, is how important it is to not let your skin rule how you live or see yourself. 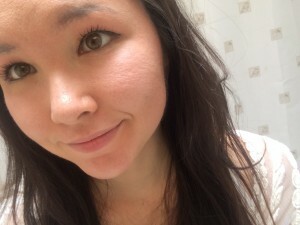 I was beginning to fall into a pretty deep depression since I had tried pretty much everything to clear my skin, and your positive words helped to pull me out.As a result of all this, my skin has GREATLY cleared! I still get a couple small breakouts here and there, but nothing like before. I think the biggest change is that when I get these breakouts, I don’t freak out, and I don’t feel the need to hide my face. I get to be me again. I suffered from severe acne starting about 3 months after I stopped taking the birth control pill. I tried multiple antibiotics and topical ointments that did not make any difference in my acne. 4 months later, I stumbled upon The Love Vitamin and Tracy’s Hormonal Acne Guide, and that severe acne is history. 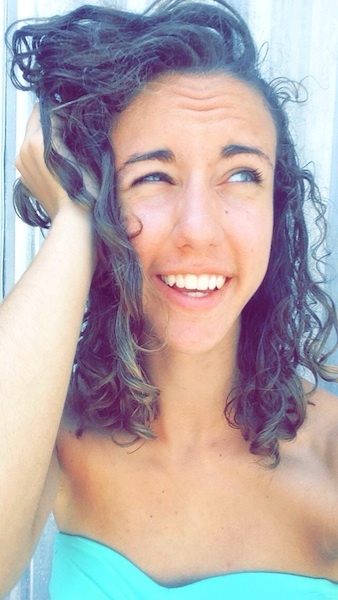 First and foremost, I have learned to love and accept myself no matter what my skin looks like. But using a combination of supplements that Tracy recommends in this guide really has turned my situation around. It is the only thing that has even touched my acne and has been a god send. 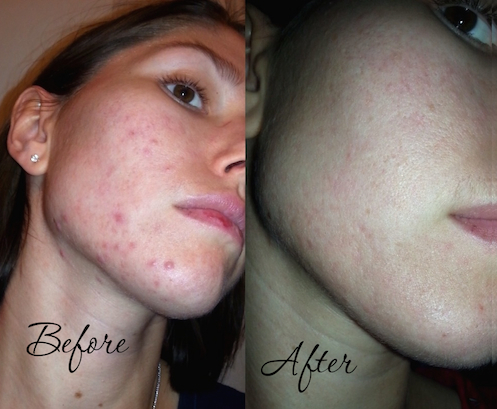 It has also really helped me to better understand my hormonal acne and what I was going through. I never suffered with any type of acne before this event so it rocked my world pretty significantly when it happened, and I honestly don’t know what I would have done if I hadn’t stumbled upon your site. 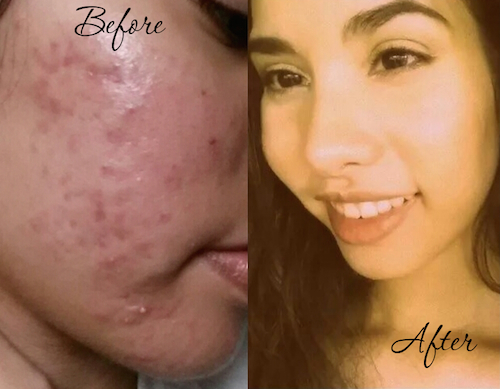 The support and information I have gained from The Love Vitamin is priceless.I can now say, surprisingly, that acne is the best thing that has ever happened to me – by far. It caused me to change so many aspects of my life. From eating clean, staying fit, to truly loving myself despite my looks, I have gained such invaluable life lessons that I’m not sure I ever would have had it not been for the acne. I was suffering from acne, on face neck and back. 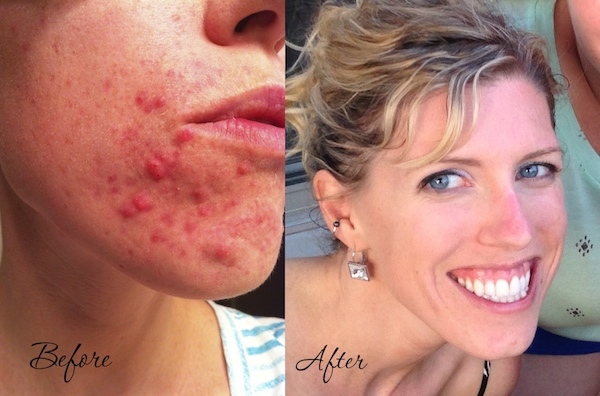 I learned so much about acne and hormones from you! As well as how to let go of stress put on myself from not following the “perfect” skin diet. Hi Tracy!! 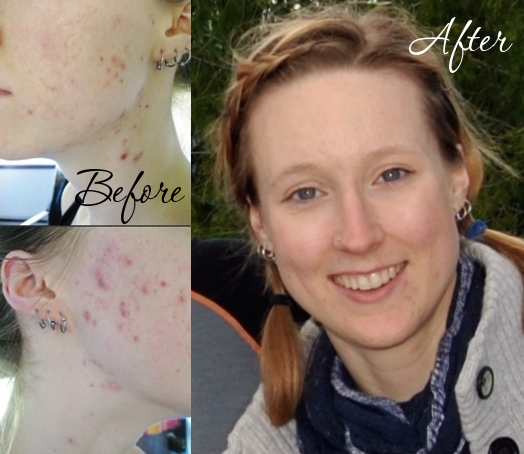 !Thank you for being an inspiration for us all and you help in spreading knowledge about natural ways of healing acne.You helped me to a great deal. I had already almost given up on getting clear.All I can say is that you kind of saved me! 😀 Thank you so much & keep up the good work! My skin has made huge strides. I used to be covered in face warping bumps, but now my skin is nice and smooth. The old hyperpigmentation is slowly fading and looks less angry and red. When I do get acne, it comes and goes quickly and rarely leaves any marks behind. I couldn’t be happier! My face used to be a huge and constant source of stress for me. Now, it just is what it is, and I don’t think about it. I feel confident that over the next few months my skin will get even better and continue to heal on it’s own. I’m not worried, I’m just thinking about other, more important things now, while my body get’s the job done for me. Hi Tracy,I just wanted to say THANK YOU for changing my life. I decided to stop using BP and all my creams that I had been using for the past 15 years (cetaphil, Spector gel, salicilic acid, nutragena). I had such an emotional attachment to these evil products that burned my epidermis and stained my pillow cases. My bf couldn’t kiss my face because of all the chemicals I had been using. I was very sad and my acne was persistent and outright painful.I don’t do the caveman regimen the way you do it; I wash with water, but that’s it. This was a HUGE development for me. Astronomical. To wake up, wash lightly with water and then do nothing. I haven’t done that since I was 9. My skin is finally clear and bright and healed. I can never repay you for giving me my life back but I can at least write this note for you. I am free. I’m on day two of your Candida Cleanse from your ebook and I’m blown away! I’ve seen amazing results after only a little bit of time and I’m so grateful for you and your site. Many thanks for everything. You have put the right path in front of me and now that’s where I’m heading. Peace love happiness. I was suffering with acne and obsessive-compulsive face picking. I noticed a big improvement when I cut back on the amount of things I put on my face like Tracy recommends. Another thing that Tracy did bring to my awareness was not touching/picking your face! This is a HUGE one for me. Along with fixing my gut through diet, the above things have gotten me down to only 2 or 3 zits at a time (which is huge for me)! Thanks for the great advice Tracy! Nothing fixed my acne because I couldn’t stop picking at my skin. Maybe the medications would have helped, but between their irritating side effects and my compulsive picking my skin never stood a chance.I read Cure Your Skin Compulsions – at first I kept a tally of hours I could go without picking or popping. And then I counted days instead of hours. Now the thought of squeezing the skin on my face, or putting a needle (my go-to pimple popping method) or rough abrasive exfoliant–used to use daily–on my skin is repulsive to me now.I have had ZERO (*knocks on wood*) actual pimples. Tiny red spots that surface and disappear within 24 hours, small clogged pores that are invisible along my hairline. A small spot that grew inflamed because I caved and squeezed it. But no pimples that formed on their own. No cysts. No whiteheads. My skin is as beautiful as it was in high school and I am so, so happy. I just wanted to thank you for all the helpful info on your site. After years of trying dozens of harsh and drying products that only would exacerbate my problem, I’m finally seeing amazing results from your suggestions! I’ve been eating a balanced, organic, and mainly whole foods diet for years, but it turned out that all I needed was a break from the myriad of crazy chemicals I was punishing my face with. I can’t thank you enough! And again, congrats!!! 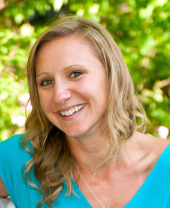 Hey Tracy,I’ve never got the chance to formally thank you for giving us the opportunity to follow the 7 day candida cleanse and sharing with us what worked for you. After 2 rounds of accutane and giving up the 3rd because I was developing liver problems all I had left was topicals, BP and Retin-a which never did anything significant to solve the problem, as mentioned before I read about the apple cleanse, gave it a try and my skin improved a lot, the 7 day candida cleanse was the next natural path. After almost 15 years battling with acne I’m amazed to say that I’m finally clear! Now following the paleo diet with a cheat day here and there.I just wanted to say thank you, and keep up the great work! The frequent breakouts are gone, my diet is completely different, I’ve lost weight, I feel better, I’m doing yoga again, and I don’t get mad at my face anymore! 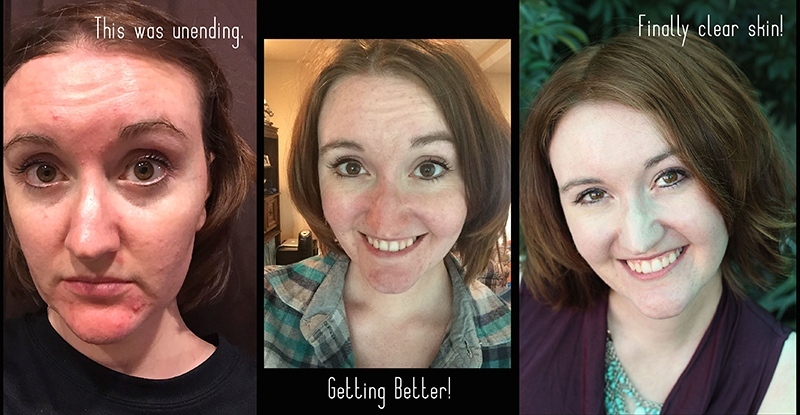 I was struggling with acne, seborrheic dermatitis, rosacea, and worst of all bad anxiety!! Since adopting a healthier diet, managing stress and using the caveman regimen my skin has cleared up tremendously. But even more than that, I am a much happier person overall. I have made so many positive changes to my life because of you! Thank you so much Tracy, I am so grateful for you. 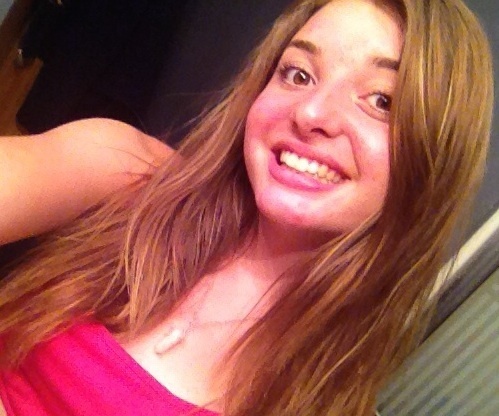 I am able to feel confident with or without makeup which is amazing! I have also been able to feel more confident in social situations which has helped me make friends. You have truly changed my life. Thank you! 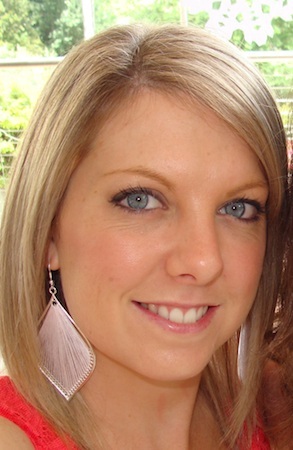 I’ve learned so many things from you that have helped me with my skin…. it’s been awhile since I looked at these photos, and I’m in tears right now looking at where I came from (which was a lot of cystic acne, clogged pores, and skin picking). Tracy. Tracy. Tracy. I sound five years old but I don’t even care. You were totally right about the caveman regimen. THIS IS WORKING FOR ME! The purging breakout passed, and even though I’ve ended up rinsing once a week with distilled water only (didn’t want to walk at graduation with visible dead skin on my face), my skin looks WONDERFUL and my oiliness is totally resolved. My complexion is absolutely glowing. The breakouts have become super tiny and infrequent, and it really does seem like they’ll be all gone soon (I’m just starting week four).This, in combination with finding a naturopath and healing my gut (also per your advice), is finally freeing me from this eleven-year acne curse. 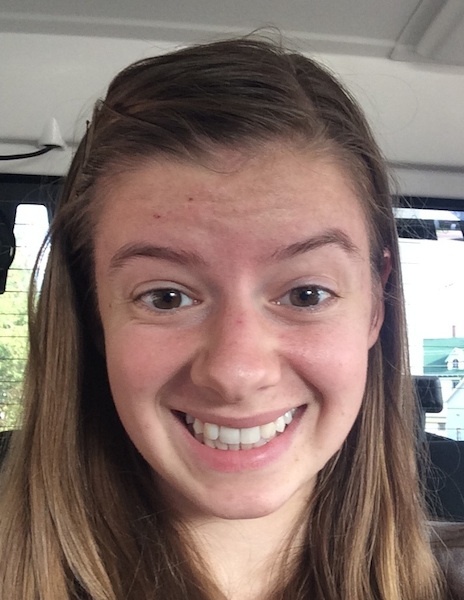 I am so happy to look normal – in face, I have better skin than many people I know (haven’t been able to say that since the year I tried Accutane). So, if you’d like, put me down as a success story – I am FREE, and I can’t thank you enough. I have referred lots of people to your site and you have my utmost gratitude. Lots of love! I purchased your Naturally clear skin ebook around October last year and have found it a life saver!! I just can’t thank you enough for how you have changed my life for the better – I have soooo much more confidence now. And with this new found confidence I got a boyfriend too, which for me was a great reward haha.I’d also like to say that I have been converted to never going back to doctors again for my acne – your holistic techniques for healing skin has not only made a complete difference in the way that I don’t get any side effects (I used to get terrible side effects from the stuff the doctor prescribed) but has also made me feel different inside, it’s hard to describe but it feels like I’m a free’d person and everything seems to feel so healthy and how it should be inside. And let’s not forget to mention the acne itself! But wow, you made it so easy with your comprehensive booklet containing food lists and recipes. I was worried that I wouldn’t enjoy the food but I was so wrong – I still continue to make the recipes as they have become my new favourites and I enjoy cooking now! The recipes were so flexible and daptable that I was inspired to make my own creations!I did the cleanse for 2 weeks and felt fantastic by the end. My face is clear and my back and chest acne has improved by about 75%!!!! I’m so happy! I had cystic acne on my cheeks during my early twenties that left scars and I still occasionally struggle with cysts on my chin. However, one of the supplements that you recommend, has changed my life! My cysts are SO rare now. Also, I use that cream that you recommended for acne scars that seems to be helping my overall contouring. I’ve also been inspired by Love Vitamin to switch to a holistic skin care routine. My skin looks the best it has looked in years. THANK YOU! My skin was just not clearing up. It was a constant battle with myself and acne. Really the most helpful things that I have learned were not about products but about the mental aspects of acne and how letting go can be the key to moving forward and healing my skin. With inspiration from you I got rid of my acne through self love and just being more gentle with my skin. I had been battling acne for many many years and it feels so goooood to be free! 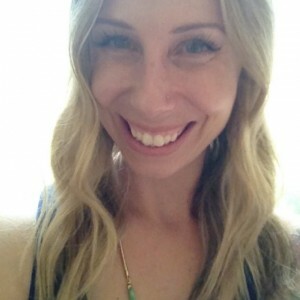 The minute i changed in to living healthy and eating more raw vegies and fruits, organic grass fed dairy, making my green smoothies, drinking tea herbs like dandelion (with no caffeine), taking herb supplements and just basically eating super foods and stopped taking all synthetic birth control and medications,. I swear i’m a completely different person! im the real me! good bye cystic acne, good bye fat belly, good bye feeling heavy and tired, good bye moodiness, good bye hormonal imbalance! alot had to do also with the fact that i was not a morning person, i am now i sleep early and wake up early and my body loves it! !people will always criticize change and not like you because you are different, people will tell you you’re crazy and that you should party every weekend till 4am and when you dont, they will tell you you are anti social, bipolar and what not! but dont listen to those people just stick through it! Hi Tracy,I am a 56 year old woman living in Minnesota who has struggled with mild acne and face picking for decades. I think the acne would go away if I could just stop touching and picking at my skin. I just recently realized after finding others with similar problems on the internet that I am not alone. Your videos, articles and blog posts have really inspired me to stop. The mirror thing especially – I have a 10x mirror that I sit by for hours sometimes going over every inch of my face looking for clogged pores or small imperfections to literally dig at. We love you Tracy! My skin is doing so much better these days..yipeee! I’ve reached the point where I can forget about my skin most of the time; this is huge for me considering the fact that last summer I didn’t even want to step out of my home. Thank you for all you do and for all the help and guidance you have given all of us; I don’t know what I would have done if I hadn’t stumbled upon your site last year! THANK YOU!!!! 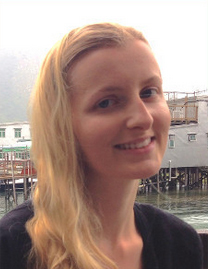 I was struggling with adult acne and trying to develop a healthier diet. I, like Tracy, had to figure out most of my skin issues on my own. Doctors were of little or no help. I really appreciate the recipes, insights, and wisdom she offers. And I appreciate the encouragement and support I have received from the Love Vitamin to stick to the diet that keeps my skin clear! Everything you teach has been extremely informative, and one of the most helpful things I’ve learned is not to stress about things, because in the end it’s not a huge problem. That you don’t have to obsess and labor over it, because it will only magnify the problem. That everything (products, pills, etc) out there is a scam, and won’t solve your problems! The love vitamin has been a life saver. Legitimately 🙂 I have recently dramatically cut down bad sugars/starches, and have been on and off the caveman regimen for the past two years. Started the caveman regimen my senior year, and even took senior pictures WITHOUT ANYTHING ON MY FACE. PERIOD. Major proud-of-myself moment. HUGE results overall, and I am so happy to feel much more in control of what used to seem to control me. I’ve struggled with acne for nearly 15 years, cycling through antibiotics, birth control, and topicals for all my teenage years. I started taking a supplement I had never heard of before finding The Love Vitamin, and it really has changed my life. I don’t obsess about my face anymore, and am able to enjoy living in a new country and working a new job and traveling to new places! 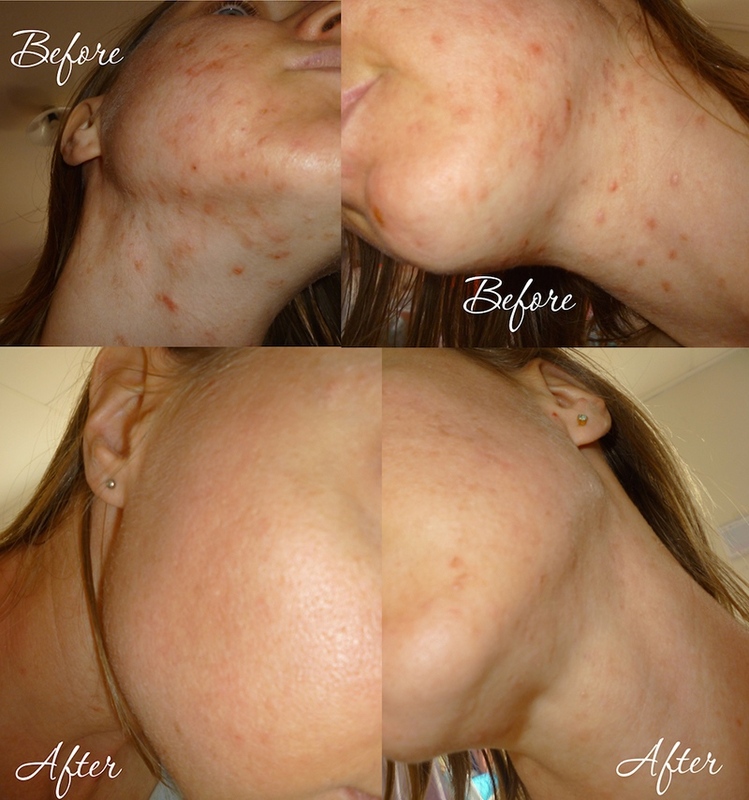 I was really struggling with acne from pregnancy hormones,. But what I learned from Tracy was DON’T PICK! 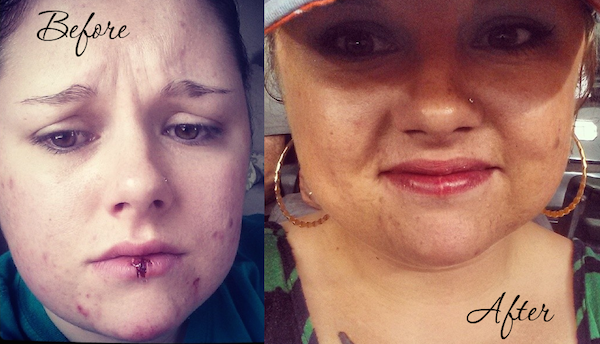 As a result, my skin is almost completely clear and my scars have healed! 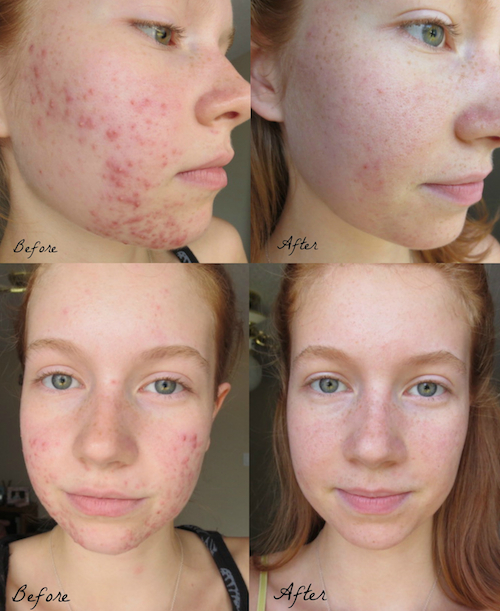 I just wanted to let you know that your diet plan cleared my acne and kick-started my life. After I gained my confidence it really motivated me to venture out into success. You changed my life. I bought the hormonal acne guide as I have had moderate acne for the past five years, and always had acne around my chin. I was so glad I bought the guide because without having read it, I might never have even heard of PCOS. But thanks to your ebook, I recognised many of the symptoms in myself and was able to get tested and diagnosed. I now understand my body much more and am eating much more healthfully…Through reading this guide and the posts on your site, I’ve learned so much about food, health and how to take care of my body naturally. My skin is definitely improving with each step I take! Hey there Tracy!I’m sure you get this alot but I want to tell you thank you for your acne clearing tips. I came across your blog searching for a more natural way to cleanse my face (the chemical washes and creams were making it worse!). This book would have saved my life and my soul several years ago.I’ve learned boatloads through my struggles, but with Tracy I am pretty sure I would have been able to avoid them. After reading your acne package, I threw out all my products and started using the natural stuff that you suggest. After 6 weeks, I am spot free for the first time in 14yrs!!! It feels incredible!!! Hi Tracy,I just wanted to drop you a line and say how amazing I think you are. 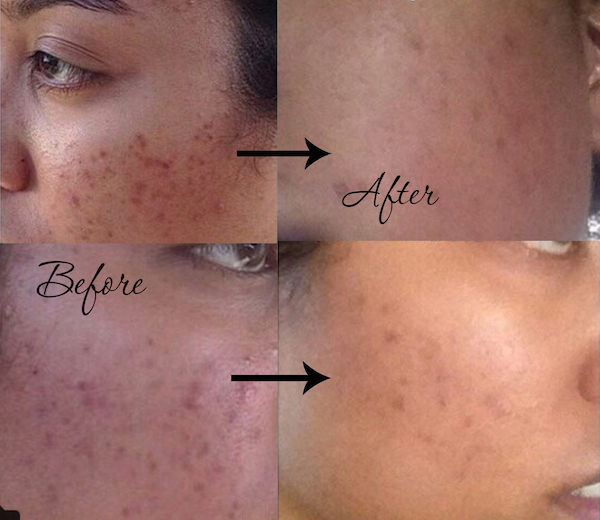 To have the courage to talk about acne and in turn find a solution. I barely leave the house during a breakout and fake being sick to not see friends due to embarrassment, so I truly admire you. You speak about health and wellness in such a relatable way. I just wanted you to know how special you are, and you should feel good about the impact you are having on people’s lives. I’ve benefited a lot from your skin care recommendations, which really helped my clogged pores, and your Quit Picking, Popping, and Obsessing e-book. Your message about loving yourself and being happy helped me (along with other things) to conquer my depression and improve my negative mindset, for which I am incredibly thankful. Over the past year my acne has gradually cleared up to the point where I wear very little make-up (compared to when I used to cake it on to cover the spots) and I hardly check my face in the mirror – such a feeling of freedom! I’d get paranoid about staying over with friends or family as they’d see me without make-up and I thought they’d be disgusted at my acne. What a sense of relief not to worry about that anymore. I’ve been able to stop picking for something like 8 days at a time. And my skin is healing so much faster because of the no picking and some of the natural products you endorse. It has changed my life, truly. I now believe that my face will heal. 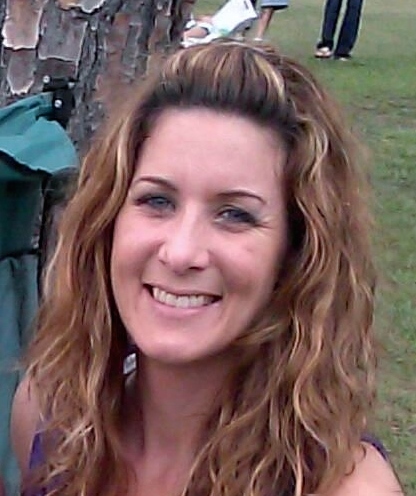 I was fed up with medications and topical treatments, and looking for holistic/natural approaches. Everything that Tracy has offered has been amazing. She was (and still is!) so inspiring! I have learnt SO much about nutrition and its effects on our health and wellbeing. I joined the Candida Cleanse, and I have also been doing the caveman regimen for the past two weeks and am so impressed with the results so far. Way less inflammation, less break outs, minimal depression (from no processed sugars), and a more positive, happy person to be around. 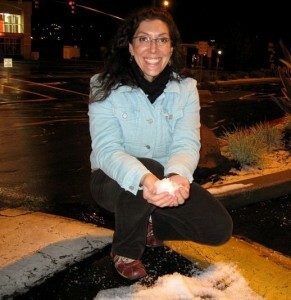 Hi Tracy,I just wanted to email and thank you for sharing your experience with the world…and ME! I have scoured the internet for years for acne help and your site is truly the only one that I found to be written by a success story who has researched and educated herself to the utmost AND has done everything NATURALLY. In the last year from when I started reading your blog I have really turned my skin problems (that plagued me for at least 5 years) around. I couldn’t have done it without your support and courage. A few weeks ago when I was in “hiding” (there’s a beautiful park near my house that I go to when upset where people can’t look at me) I was sitting on the rocks just sobbing about my appearance, wondering why nothing I was doing was working, both holistically and western, when I heard my spirit speak to me in my despair “leave your face alone. Release control. I’ll take care of you.”Within the next day or so I found your ebook and story. It was such a confirmation of what I had been told. 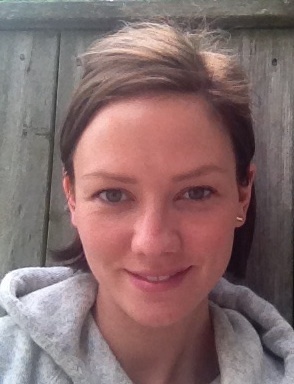 Applying your wisdom has improved my skin beyond belief (the “caveman method” rocks by the way-so easy). God really has used your experiences to help me release control and grow stronger-spiritually, emotional, physically.May God bless you all the days of your life, Tracy.Merry Christmas! I bought your book Naturally Clear Skin, where I found very useful information on diet, how our body works, skin care products and supplements. I have to say that doing all these changes not only had these good results on my skin, but also on my mind and body in general. I’ve learnt to listen to my body, and because of this, I feel more energetic and healthy. It’s been one year since I discovered The Love Vitamin and it changed my life. 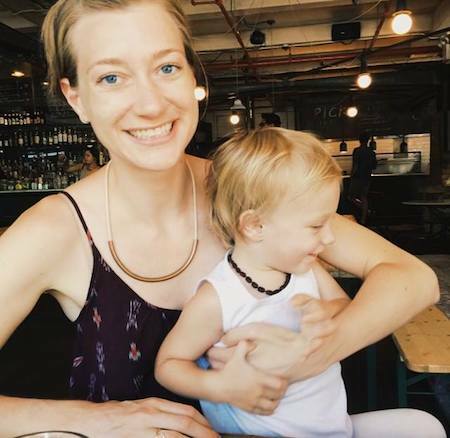 My friends and loved ones began commenting on my skin: “you’re glowing!” “Your skin looks so smooth!” After almost two months of experimenting with honey, egg whites and apple cider vinegar,. I am happy and proud to say that my skin is clearing up, looking beautiful and feeling amazing! I hardly ever wear face makeup anymore and I couldn’t be happier. Thank you, Tracy! You have changed my life. 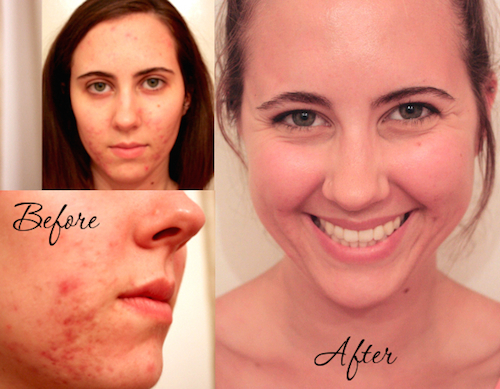 The Love Vitamin’s Guide to Hormonal Acne was an amazing read that I wish I had sooner! I struggled with hormonal acne for almost 15 years along my jawline, chin and mouth that was so embarrassing and would just not go away. If I had read this guide sooner I might have been able to recognize the signs and symptoms of my hormonal acne and would have started treating my “acne-type” sooner! This guide is great for anyone struggling to figure out the best treatments for their hormonal acne; it has amazing tips and tricks that I didn’t know about- you’ve got to read it! Hey, Ms. Tracy,I’m excited to say the after a year of following your advice and eating well, my skin is finally clear, I haven’t had a breakout in two weeks. The final puzzle piece was, actually, positive affirmations and meditation. I’m not even watching what I eat that closely, just trying to keep my blood sugar stable and doing my “spirit work.”I always thought saying affirmations was cheesy, new age crap. But after giving it a serious try I stand corrected. I had never realized how degrading my self-talk was, until I actively tried to make it uplifting. All your advice has been incredibly useful and I feel so much better now! My skin is the clearest and softest it’s been in years, and I don’t spend hours a day worry about or fussing over it. hi tracy! I began reading your blog last year and many of your tips helped me get clear (and stay clear). 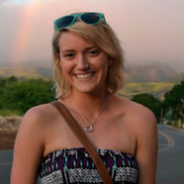 thanks so much for sharing your story! 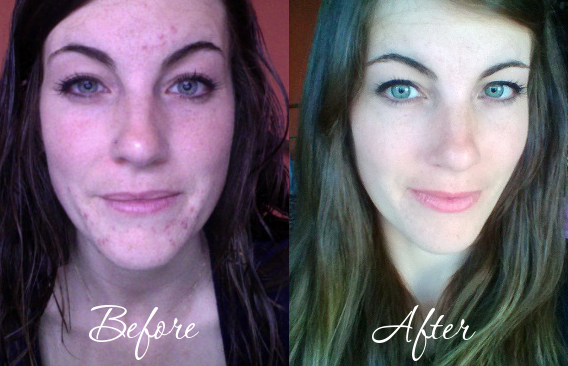 The Love Vitamin’s Candida Cleanse has helped immensely to get my acne and my life in general, back on track. 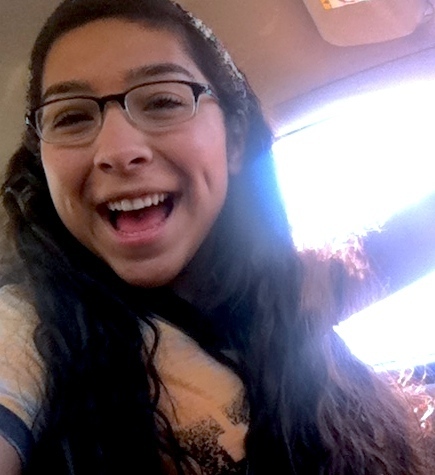 After the first few days, I noticed an improvement in my skin and my overall attitude. I feel better and feel like myself again.Tracy does a great job breaking down a somewhat confusing diet, into very simple steps. The recipes she included taste great and are easy to make. 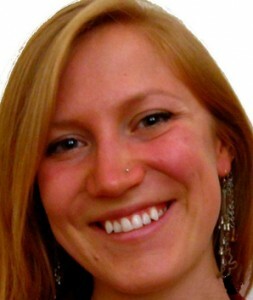 I began the cleanse as soon as I signed up (after reading her 90 page ebook! ).I’m currently on my fifth week of the diet, and it’s becoming more of a lifestyle shift than just a 7 day cleanse. Once I started, I just couldn’t stop, I see more and more results each day. The ebook alone is worth much more than Tracy is asking for.If you’ve tried everything else to get rid of your acne, or other health problems, this could be your solution. I know it is mine. Tracy,I just wanted to personally thank you for all that you do. I have always tried to live as holistically and naturally as possible but I was having such a hard time with my acne that I became desperate and on the verge of trying Accutane. I have literally tried everything you can think of to treat my acne with no avail.I was doing research on the side affects of Accutane and literally had the phone in my hand about to dial my dermatologist when your website popped up. Thank god it did. I know the Universe sent me to you. I decided to try your route of natural healing before I turned to Accutane. Why not? I had tried everything else anyway. I do my best to eat healthy on a daily basis anyway so your methods really made sense to me. I have only followed your plan for about a week now and my skin is already on the road to recovery. I am truly amazed and grateful. 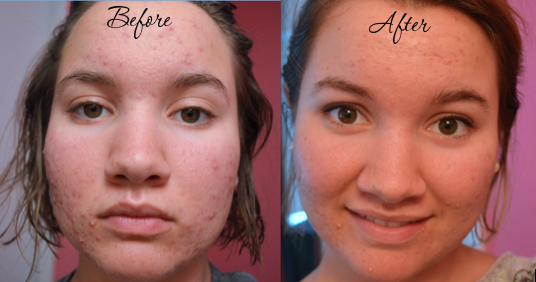 Because of you, I have learned to love myself again and I know I will be free from acne in no time at all.Thank you! I just wanted to write and say thank you thank you thank you!!! I have been using your suggestions for almost a week and it is unbelievable how fast my face is clearing up! I have tried everything over the last 13 years of struggling with acne and this stuff is hands down the fastest acting treatment yet. 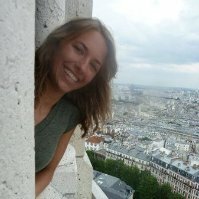 My name is JoAnn, I am a 24 yr old NJ resident and I can’t even begin to tell you how life changing your Cave (wo)man regime was for me! WOAH, only thing that has ever worked!!!!! Go figure lol all this time I was doing TOO MUCH. I was messing up my PH and didn’t just let my body just do what it is meant to do! I wana tell every suffering person about this. THANK YOU THANK YOU THANK YOU for all you do. Your openness has made a profound positive impact on my life! I was struggling with self image & esteem issues. Dieting, outlooks, basically everything having unhealthy skin can do to you. I never knew organic products could work and I had no idea how damaging what I was using on my skin and how I was treating it was to my well being. I now have the clearest skin I’ve had in soooo long. And it’s all from natural things. Which blows my mind. I went to a dermatologist years ago and he told me oils and natural stuff would never clear my skin. You’ve taught me so much and introduced me to a lifestyle i would’ve never thought I could be a part of. 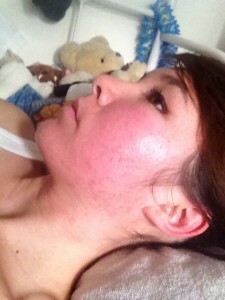 I was suffering with adult acne along chin line and jaw. 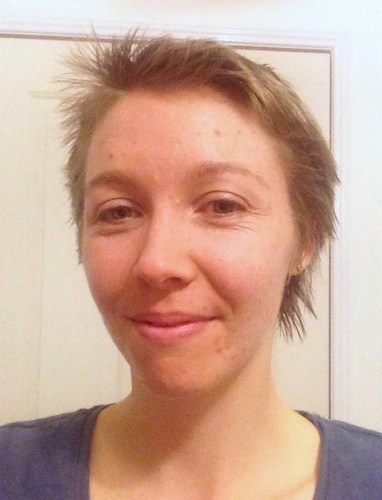 I bought your ebook package, Guide to Female Hormonal Acne, and it changed my outlook on my skin dramatically! I had no idea that I could try to do something for my acne naturally; I was always under the assumption that I had to take medication or put chemicals on my face to try to clear it up. After reading your book, and getting my hormones tested, I found that I am low in progesterone, testosterone, and estrogen. I still have a long way to go before I get my acne under control but at least I am now on the right path. I wish I would have found your website when my acne first started! Thank you! Hi Tracy!I just wanted to tell you that I think the e-book on how to stop picking etc. your skin is truly brilliant! My skin isn’t really that bad (acne, I mean), but I have a lot of scars because I’m terrible at keeping my hands away from pimples and blackheads. Before stumbling upon The Love Vitamin, I had been struggling with acne, ranging from mild to moderate and so annoyingly persistent since age 14. I have tried almost everything out there from expensive facial products to Accutane. The lovely bumps always came back for an encore appearance! The Guide To Female Hormonal Acne was the best source of knowledge I could ever ask for. I took the salvia test recommended in the book and learned how unbalanced my hormones were and so I started some of the supplements you recommend to help my body out. It has almost been 3 months and so far I have noticed an improvement to my skin and to my PMS (which is almost nonexistent at this point!). Since following the recommendations in the ebook for my type of hormonal imbalance, I have definitely noticed less acne, and when I do get a spot, it tends to go away in a day or two. 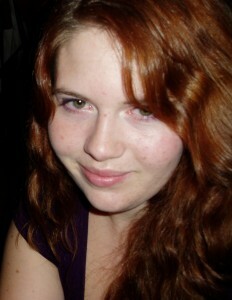 I am excited that my skin seems much more manageable now! 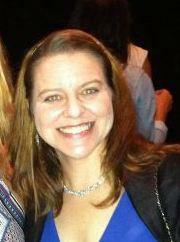 Hey Tracy!I just wanted to tell you how much of an inspiration you are to me! I am 24 years old and 6 months ago I developed all kinds of sad skin stuff. It was horrible! I decided to do a holistic approach combined with positive affirmations (from “Heal Your Body A-Z” by Louise Hay). Knowing that The Love Vitmain housed an entire network of people successfully treating their ailments naturally kept me on track and away from and pharmaceutical creams or pills. It’s a slow process but I am almost in the clear!! Thank you for being a constant reminder that nature really does heal all. Your are amazing and I thouroughly enjoy having you and The Love Vitmain in my life!All my love! So my acne FINALLY completely cleared up after getting advice from you. Thank you for the emails and long distance support to everyone. I appreciate your compassion for the ones suffering. Now i can spread the good news too 🙂 I have not had the painful, itchy, red pimples everyday, and now I am happy when I look in the mirror without makeup. It truly is a blessing to have this cured. Thank you again. Stay ecouraged. The best part is that I was always afraid that my acne would make me hate my wedding day and never want to get married, well since I cleared it up – I can say that I’m honestly excited to get married in September and the journey to the wedding has been even more enjoyable now that I have my breakouts under control. I am way less stressed than I would have been and I believe your advice played a part in that. So thank you! 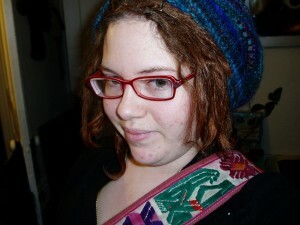 Dear Tracy,I stumbled upon your blog while trying to find a solution to my sudden, horrible acne. I had always suffered from mild acne, but I hit 20 and my face decided to turn into a raging, angry land of zits. I had slathered chemicals, harsher chemicals, and the most powerful chemicals I could find on my face, only to wake up to red, tight, inflamed skin and a new pimple. Then I saw your blog, and I tried honey instead of salicylic acid and benzoyl peroxide, and my face wasn’t less pimply, but it was no longer tight and red all over. I started to try many of your suggestions and, although it didn’t always help, it felt like progress. Then one day, in a post or comment, you mentioned EstroBlock, and I purchased some, and, almost like magic, my face started to clear up! 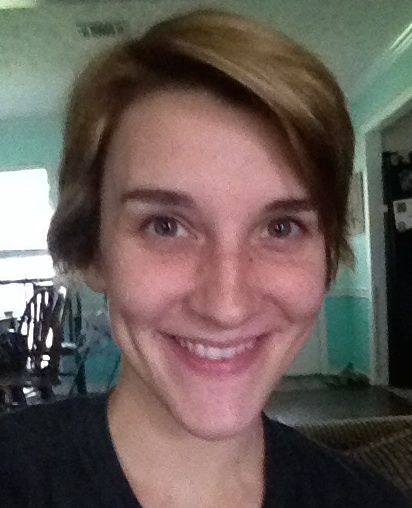 Many random happy dances ensued when I saw my face in any reflective surface.I started to look into hormonal imbalances and what there was to treat it.I’ve learned that my body doesn’t produce enough progesterone and that oral hormones are NOT the answer for me (bad, bad side-effects). I went to doctors and they actually wanted to Remove my Uterus and give me synthetic hormones!!! I remembered all those chemicals they gave me for my face and how well that worked out!!! I decided to not remove an internal organ and to try natural remedies. Now I take DIM (same thing that is in EstroBlock) and Red Raspberry supplements and avoid and food that could whack out my endocrine system. 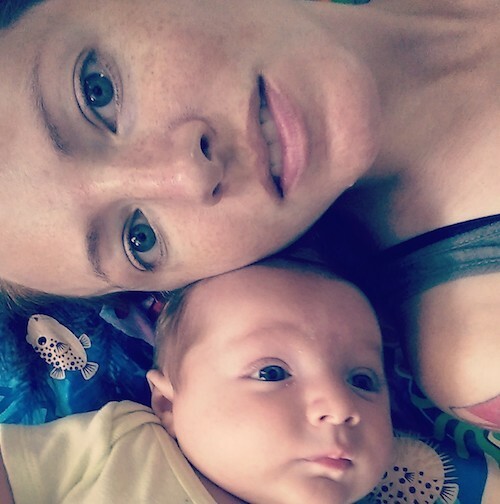 Almost ten months later, I have fabulous skin (with the occasional breakout), my body is soooo much healthier, and my body will finally be able to carry a baby. I’m going on 7 months of clear skin thanks to you! The longest period of clear skin I’ve had in what seems like forever. So thank you so much for what you do! It’s greatly appreciated. Thank you so much Tracy!! You are a true inspiration! I have been in to the healthy alternatives for a while now, but I had gotten lazy. Your videos really helped get me in gear. I have been following your advice for almost 2 weeks now and I am so happy with my results I could cry. Thank you so much for your help! 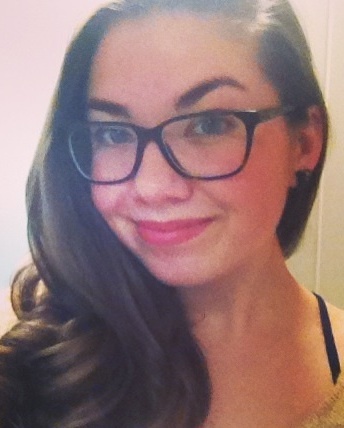 I am 21 and I’ve had cystic acne since I was 16. I’ve suffered with depression and all that good stuff that accompanies acne. I love you videos about the objectification of women in our society. It was really an eye opener. Thank you for taking your time to care and help people. You are a great person! May many blessings find you! Hi Tracy,I come from the far away sunny tropics of Singapore and never knew that a random search on google for acne remedies would lead me to a miracle cure. I have battles acne for years since I was a teen and the doctors and dermatologists prescribed all kinds of drugs and expensive facial treatments which I grew weary of. I can totally identify with people trapped in a similar situation who want a way out naturally.Your skin care suggestions have worked wonders for my skin. It’s 100% natural, my skin literally drinks in the honey, oil and cider and the hormonal acne that still pops up every month now heals so much faster with way less scarring. I never knew I could have glowing skin going back to basics.The only reason why I am writing this post is because your methods have made a tremendous difference in my confidence level and overall outlook of empowering myself in life. I started the Caveman 6 to 8 weeks ago… since then I haven’t had any more cluster pimples on my chin, and my face doesn’t get red as easily or for as long any more (I have fair skin that shows everything). Also my cystic pimples slowed down and stopped. My red marks are fading. Not washing my face twice a day has really saved me time, money, and sanity! And now I only have seen one pimple at a time, which is a huge improvement over before. It’s here and gone quickly with little fuss. 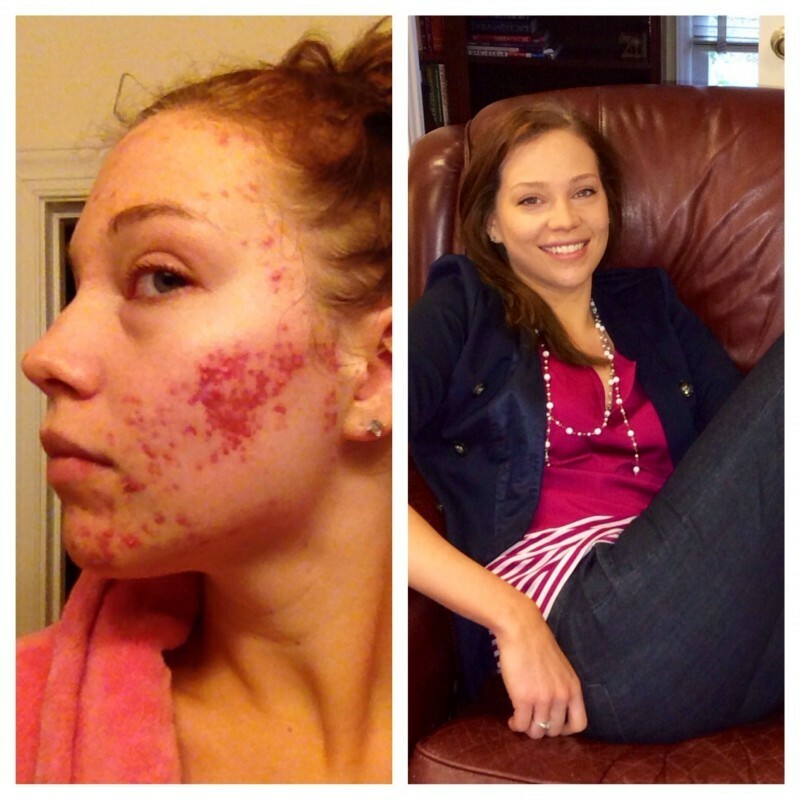 Dealing with acne & perioral dermatitis was a horrible blow to my sanity and self esteem. 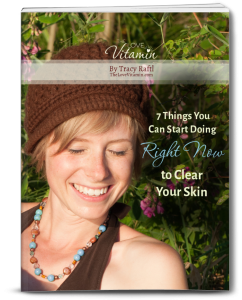 I believe this website & the info in the Naturally Clear Skin ebook saved my life. For a little while I was in a very dark place with this skin condition and nobody seemed to have anything better to offer than useless topicals.It helped me heal my perioral dermatitis completely, stopped the acne which is now about 95% healed, gave me courage and confidence to take matters into my own hands and stop waiting for useless doctors to help me. You’ve offered me tremendous moral support and gave me the courage to stop wearing makeup! Before I found this guide, I was seriously struggling with hormonal acne. 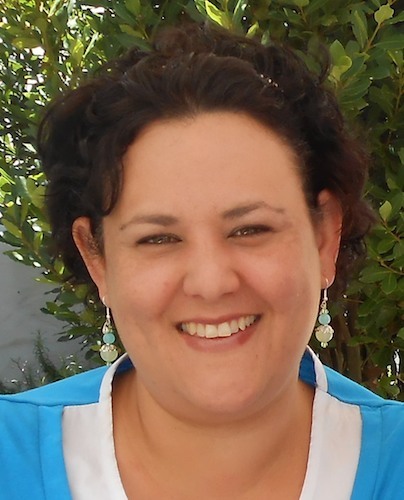 Hormones have always been my Mt Everest – daunting and overwhelming! Loved the Guide to Female Hormonal Acne! Thank you for compiling such important information into such an easy to digest format.I started taking some of the supplements that you recommend and my skin is clear!!! All month long!!!! Thank you SO much from me and my skin. I think you are doing an amazing service! Don’t change! I already look and feel better because of your tips. You have inspired me to be a better person in so many different ways – without having you as guidance and support, I would have nothing. I was suffering from acne on my face, big and small. They gave me endless pain mentally and physically. I couldn’t even see my face on mirror. I hate to look at my face.. I thought i was a monster from a pond… from you, I learned how to fight acne such as stop relying on cosmetic and try nature remedies. Surprisingly, it works.. 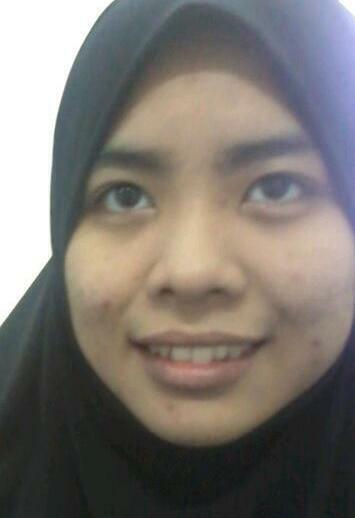 I would say that i manage to heal most of acne on my face within few months. My skin also less oily and not too dry but it just perfect with enough moisture. And what make me happier is no more pain.. Thanks Tracy.. Thank you The Love Vitamin… no more acne, no more fear to meet people. 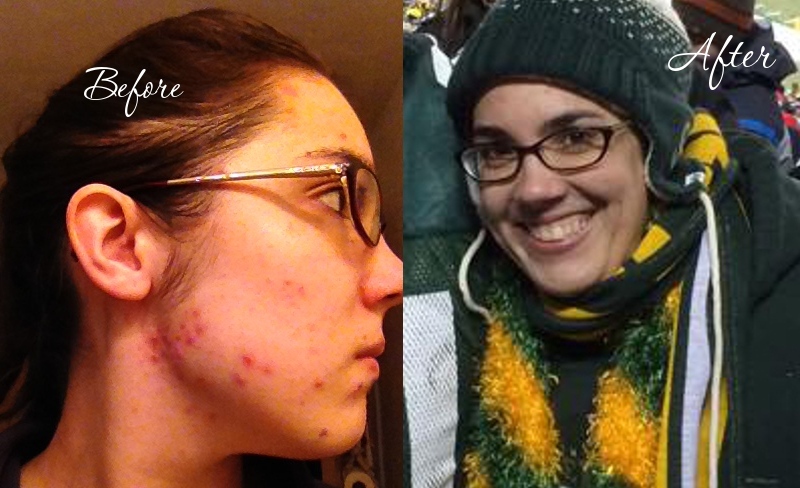 Hi Tracy!I just wanted to thank you for helping me “cure” my acne after battling for 12 years.Thank you for being braver and more courageous than I am and able to share your story publicly. I wouldn’t have felt there was ever going to be an end to this hell without your bravery and selflessness.I’m actually “there” for my babies now, I don’t hide from my husband, and make-up is something I do for FUN now, not as a shameful ritual.Thank you for giving me my life back. 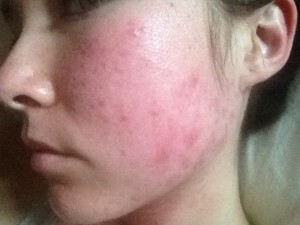 I’ve been struggling with hormonal acne, as well as acne caused by irritation (I think). Lots of acne on my chin. 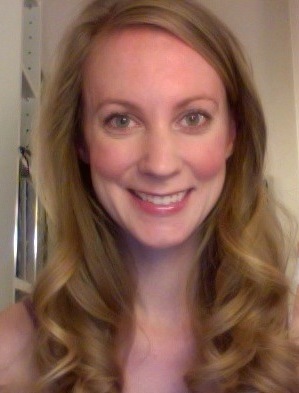 I didn’t think the Caveman Regimen would work, but I am three weeks in and my skin looks SO much better. Even the skin tone looks less gray and more… vibrant. I am hoping the results continue! I have small pimples coming up 6 months after finishing my accutane treatment. I really didn’t want to go back on the harsh meds so came looking for a more natural treatment. Learning from you just how much my stress has an effect on my skin was a revolution – I had no idea! For me this was a big deal as I am a natural worrier and have suffered from depression before. My skin is starting to clear – and I feel more content in general. All about not worrying or stressing about what I can’t control! 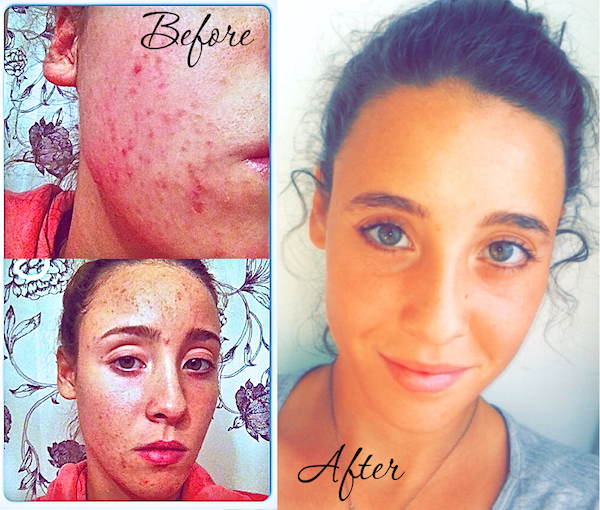 Do You Also Want to Be Happy, Healthy, and Acne Free? Join over 50,000 women on their journey to clear skin, a healthy body, and a happy soul!